There is something to be said for the Jeep Grand Cherokee’s excellence. Whether you are looking for a great off-road experience, a spacious SUV for your family, or a refined, modern driving experience the 2019 Jeep Grand Cherokee is capable of providing it. Exploration yields a new kind of freedom. There’s something unique and enjoyable about conquering a tough forest path, or a difficult rocky landscape – especially when you are then witness to a beautiful sight. That is part of the reason so many drivers love going off-road: to discover what lies on the road less taken. When you drive the Chrysler Pacifica, you and your family have everything you need – technology, efficiency, and confidence on the road. This is all in addition to the expansive spaciousness this minivan offers you, alongside slick artisanship that helps define this vehicle on modern roads. Now, with this technological addition, your experience has been further enhanced. Dodge vehicles have always delivered unparalleled experiences on the road, especially in terms of power. In fact, vehicles like the Dodge Challenger have staked their entire reputation and legacy on their ability to conquer the road in more ways than one. That is part of the reason why drivers trust this vehicle above all else. There is a lot to be said in bouncing around town in an SUV that is powerful enough to conquer the road while also keeping you comfortable. There is more to be said when that same SUV is easy on the wallet by getting good gas mileage. 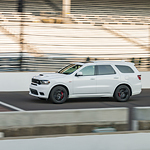 The 2018 Durango built by Dodge incorporates features to do just that. 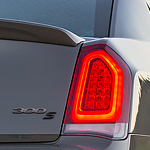 The Chrysler 300 is one of the most popular vehicles in its class and is typically available at (dealer). It offers a variety of technology features that provide exceptional value for your money. One of these features is the Sirius XM Guardian package that keeps you connected to emergency services at all times. You and the family will feel secured in the Chrysler Pacifica; a popular family minivan leading the way for all minivans. The starting MSRP is $26,995 with various leasing options available in Surprise. Choose between the Pacifica Limited, Touring L Plus, Touring Plus, LX, and L trims. They all offer different features and specs that improve the overall driving experience. There are a few things that Dodge has changed with the latest round of its sports cars. However, the changes made to the Dodge Challenger places it in the top 5 of sports cars, according to US News & World Report. The acceleration and power available in the Challenger for 2019 has been completely updated, squeezing out 305 horsepower in the base engine. There is no better feeling than getting behind the wheel of a vehicle and feeling right at home. 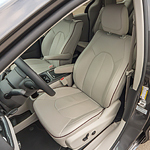 Automotive makers can make this a reality by designing interiors that provide comfort and beneficial features. If you are in search of a car with muscle that also makes you feel right at home inside, then the 2018 Dodge Charger may be just what you are looking for. The tough-working truck like the Ram 2500 soothes your daily drive with a spacious interior that can include Ram Work Grade vinyl seats that are easy to clean and withstands almost anything you put on it. In the Crew Cab versions, you’ll find under-floor storage so that you can keep what’s important to you close by.